Staff Sgt. Carlos Gonzales, 1st Air Cavalry Brigade, 1st Cavalry Division, and Sgt. 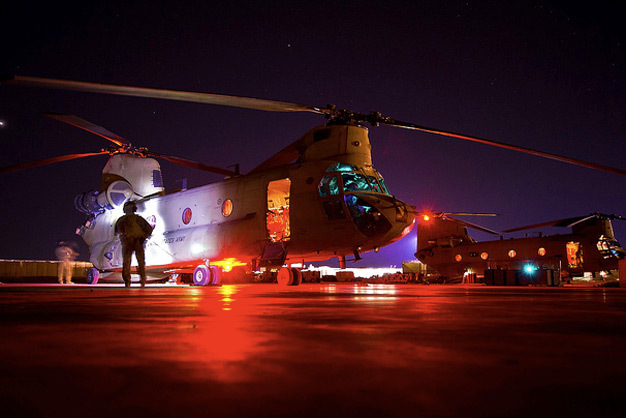 Ernesto Gallegos assist pilots during a run up of a CH-47F Chinook helicopter on Camp Marmal, Afghanistan, on February 16, 2012. Photo by the US Army.